Saudi Press AgencySaudi special forces soldiers with G36C assault rifles. Saudi Arabia has some of the greatest military equipment money can buy, but its military is still not seen as a threat to its longtime rival Iran. Saudi Arabia’s military has not proved capable of effectively fighting back Iran-backed Houthi rebels in Yemen. Its arsenal is designed for a large conventional war – not proxy fighting. In the past few years, Saudi Arabia has led an intervention in Yemen’s civil war, been the driving force behind a diplomatic crisis between Qatar and its neighbours, and involved itself in the politics of Lebanon. All of these things appear to have one common objective: to push back against the influence of Iran. But experts say Saudi Arabia’s ambitions are limited by its military, which is considered an ineffective force even though the kingdom is one of the world’s largest spenders on defence. “The fact is, Iran is better at doing this stuff,” said Michael Knights, a Lafer fellow at The Washington Institute who specialises in the military and security affairs of Iraq, Iran, and the Persian Gulf. “There’s nobody in the Iranian General Staff that’s afraid of Saudi Arabia on the ground,” Knights said. Saudi Arabia’s military faces two main problems. It is too large, making it more susceptible to organizational and quality issues, and its arsenal is designed for a large conventional war rather than the proxy wars of the 21st century. For all Saudi Arabia’s military ineffectiveness, it’s hard to blame the kingdom’s equipment. Last year, Saudi Arabia was the fourth-largest spender on defence products in the world, just behind Russia. According to IHS Jane’s, a British publishing company specializing in military, aerospace, and transportation topics, Saudi Arabia was the world’s largest importer of weapons in 2014. Data from the Stockholm International Peace Research Institute shows that Saudi Arabia was the second-largest importer of weapons in both 2015 and 2016. Arms imports into the kingdom have increased by over 200% since 2012, according to the institute. The weaponry being bought is not low quality, either. The majority of Saudi Arabia’s military hardware is bought from US companies. In fact, 13% of all US arms exports in 2016 were headed into the kingdom. Companies from the UK and Spain were the second- and third-largest sellers. Wikimedia commonsA Royal Saudi Air Force Eurofighter Typhoon. 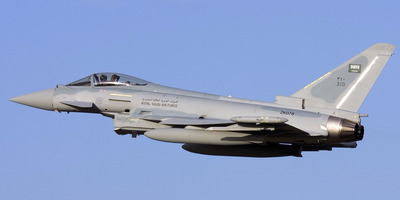 The Royal Saudi Air Force arsenal includes Eurofighter Typhoons, perhaps the most advanced fighter jet fielded by European militaries, and American F-15 Eagles, the undisputed king of the skies for three decades and still formidable. The Saudis even have their own model of the Eagle – the F-15SA (Saudi Advanced), which just started being delivered this year. The Royal Saudi Land Forces, the Saudi army, have everything from M1A2 Abrams tanks and M2 Bradley Fighting Vehicles to AH-64D Apache Longbow and UH-60 Black Hawk helicopters. Virtually every vessel in the Royal Saudi Navy was built in American shipyards, specifically for Saudi Arabia. Its newest frigates, the Al Riyadh class, are modified versions of France’s La Fayette-class frigate. Saudi Arabia is one of the best-equipped nations in the world. Yet the Saudi military does not strike fear into the hearts of its adversaries, or would-be foes. 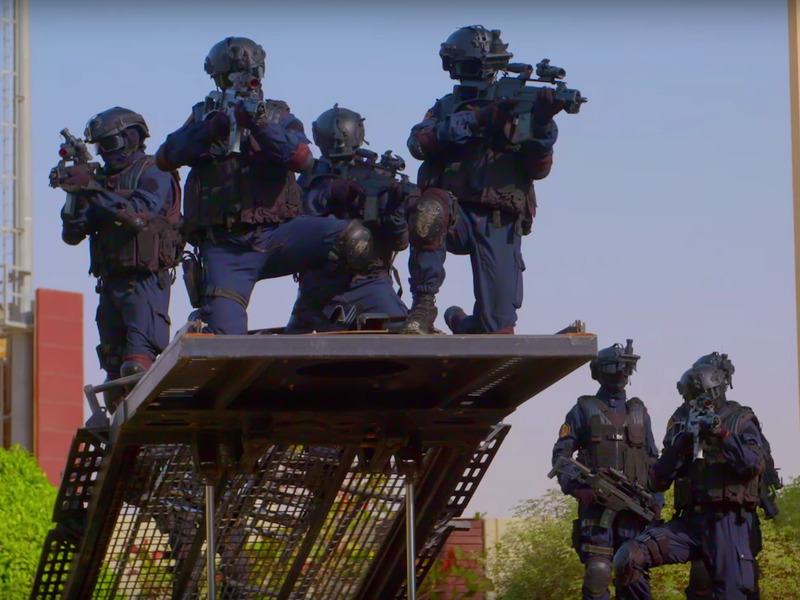 Vice/YouTubeSaudi special forces troops during a hostage drill. Evidence of the Saudi military’s shortcomings can be seen just south of the Saudi border in Yemen. Almost three years after Saudi Arabia, supported by other Gulf and Arab states, launched a military intervention to support Yemen’s ousted president, Abdrabbuh Mansur Hadi, Iran-backed Houthi rebels are still active and continue to hold Yemen’s largest city and capital, Sana’a. Additionally, the Houthis have proved capable of launching high-profile attacks against the Saudis. Those include multiple cross-border raids into Saudi Arabia, successful attacks on Emirati and Saudi navy ships, and the launching of ballistic missiles into the heartland of the kingdom. In a more recent embarrassment, a report from The New York Times suggested that a ballistic missile fired by the Houthis that exploded at an airport in the Saudi capital of Riyadh was actually not shot down as previously claimed by the Saudi military. Wikimedia commonsThe state of the War in Yemen earlier this month. Red represents territory held by the Yemeni government backed by the Saudi-led coalition, white for Al-Qaeda affiliates, black for ISIS, and green for Iran-backed Houthi rebels. The Saudis have had a hard task in Yemen. They have to operate in the Houthi heartland against a well-trained, well-funded, and well-supplied fighting force. Saudi Arabia, however, has not deployed significant land forces into Yemen that would be required to win on the battlefield. “We don’t know if the Saudi military is able to have a significant impact on the Yemen war, because we’ve only seen the deployment of Saudi airpower,” Knights told Business Insider. “Generally, an airpower-only campaign is not going to have a great impact – particularly in this type of complex terrain with an enemy who is very adept at hiding from airpower and often looks like civilians,” he said. These weaknesses include a lack of logistical equipment and experience needed to carry out such a campaign. “They have no experience in an expeditionary operation,” he said, noting that the Desert Storm campaign against Iraq – which Saudi Arabia did contribute to – was largely an American effort. 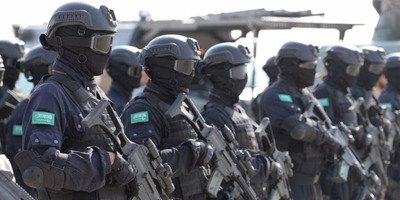 Additionally, Saudi ground forces as a whole are not trained well enough to where they would be able to perform successfully in large-scale operations. As such, a Saudi ground force in Yemen may cause more harm than good. 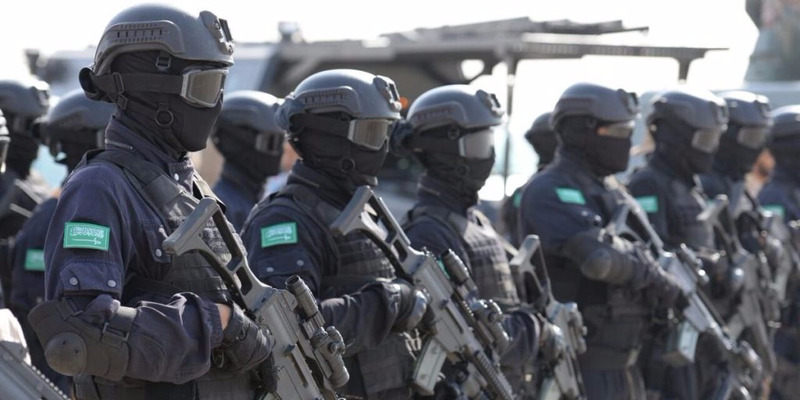 In Knights’ view, Saudi Arabia needs to downsize its military, focus on quality recruitment and training, and make units that are capable of fighting alongside and training local allies. Today, local militias and tribal groups form the majority of the ground force battling the Houthis, and few if any Saudi soldiers assist them – save for a few special forces units. The proxy battle in Yemen is just one example of Iran’s growing influence across the Middle East. Hezbollah, for instance, is better armed and organised than Lebanon’s official military. Hamas, engaged in ongoing conflict with Israel, is also publicly backed by Iran and a number of militias in Iraq’s Popular Mobilization Units receive training, funding, and equipment from their neighbouring country. Saudi Arabia’s arsenal, though impressive, also needs to be built up with its desired applications in mind. For now, those seem to be proxy wars against an enemy that is rarely in uniform, as opposed to one fought against a conventional army from the Cold War era.